The Go-Ahead Group wished to convert an existing vacant warehouse into an operational bus depot that incorporated offices, bus storage and bus maintenance facilities. The project had stringent time frames due to urgent requirement of the facilities demanded by the client. 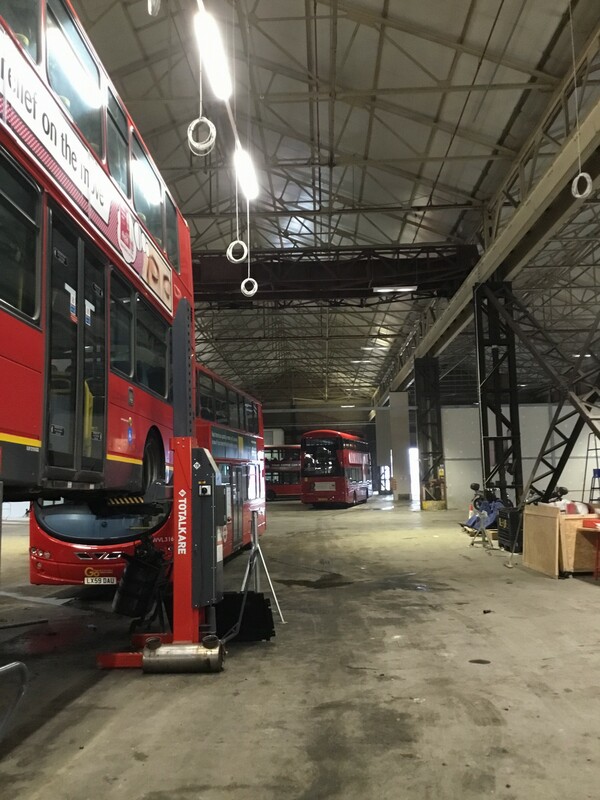 KH Engineering Services were given the responsibility to provide a design and build solution to cater for the lighting and power of the bus depot conversion. The works included the reviewal of existing LV architecture with the design brief to implement the proposed design for conversion of the bus garage. Furthermore, the renewal of main MCC panels / distribution boards and associated sub mains cabling. A new lighting design plan had to be formed that took into account key considerations such as the varied LUX levels throughout the depot floor plan and the degree of usage. Further consideration was applied to ensure the application was efficient and sustainable. KHES were responsible for ensuring that all power requirements for all third-party trade contractors were met. This was undertaken by coordination meetings with all trade contractors and individual design development meetings. This process created a functional design specification to which the client validated thus allowing KHES to ensure the user requirement was met first time. 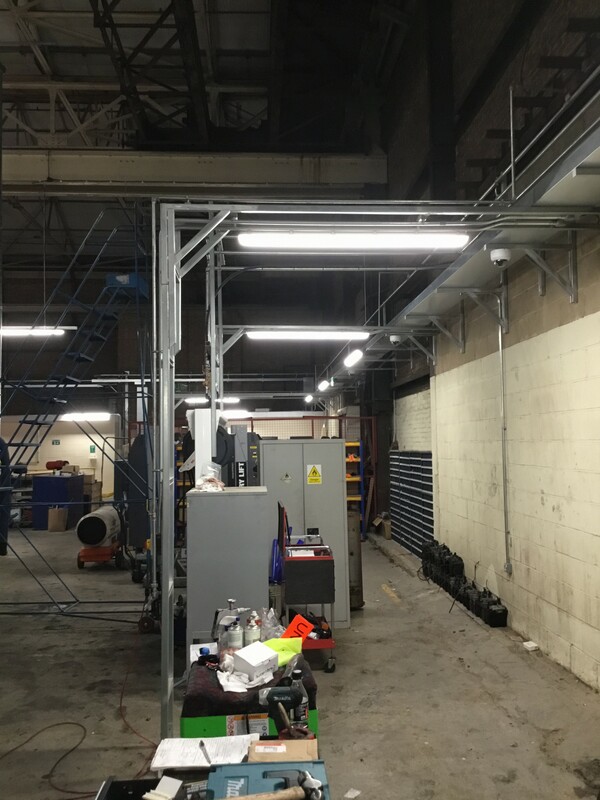 The industrial installation consisted of 450mm x 150mm four compartment trunking supported by bracketry that formed the cable management system running around the perimeter of the building, exceeding 500 metres. A separate heavy-duty tray was installed to support the sub mains cabling. The electrical testing and commissioning was undertaken by KHES to NICEIC standards using NICIED accredited documentation. KHES engaged with the client during the inspection test plan (ITP) that afforded Go-Ahead the opportunity to review and comment pm the installation. •	The depot was in operation during the conversion. •	The project had stringent time frames due to urgent requirement of the facilities demanded by the client. Following the formal hand over, The Go-Ahead group were fully satisfied that their design brief had been met and that KHES had fulfilled their contractual obligations. KHES were complimented on the high standard of completed works. 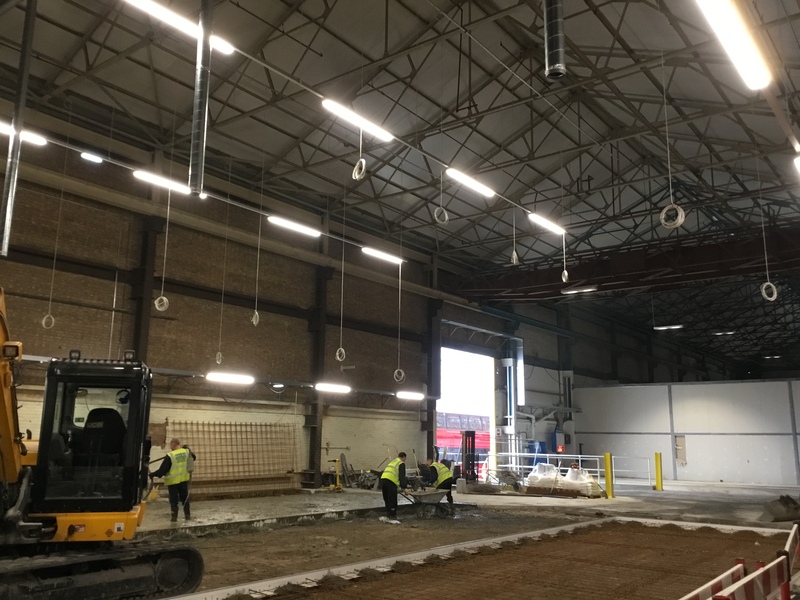 As a design and build contract, KHES identifies the Morden Wharf Bus Depot project as a success which was another project completed accident free.